Congratulations to our alum Fatima Boozarhomehri ’17 as well as A’Dorian Murray-Thomas ’16! Congratulations to Prof. Denise Crossan and her students! In January 2017, the Social Innovation Lab at the Lang Center for Civic and Social Responsibility was created by visiting Lang Center professor Denise Crossan. Its purpose is to extend the Lang Center’s mission to promote engaged scholarship at Swarthmore. Currently, it is being used by groups from Chester and SwatTank as well as some Swarthmore student groups. One of the ways the lab is teaching these concepts is through Design Thinking trainings, which are courses about how to create social projects relating to a particular field of interest. Recently, Crossan and fellows have been promoting the lab as a space for students to visit. “The Social Innovation Lab creates a space where the campus community can come to apply their deep and thoughtful theoretical knowledge into active practice focused on creating positive social impact. Learning and practicing problem solving skills within the Social Innovation Lab, such as Design Thinking, allows students to apply their Swarthmore education to complex real-world problems and better equips them for experiences post-graduation,” Crossan said. Crossan renovated an office space and small library into a maker’s space filled with magnetic whiteboards, markers, crafting supplies, and a bin of cardboard. According to her, the space is designed for the creation of prototypes. Some of the prototypes on display in the lab are colorful, cardboard versions of imagined apps from Crossan’s social entrepreneurship class. According to Michelle Ma ’20, a University Innovation Fellow who works with the Social Innovation Lab, the space is a natural extension of the classroom. This is an expansion of the Lang Center’s push for engaged scholarship, which is applying classroom learning to solve social issues in the world. “We really want to push this idea of integrating your studies, what you care about, and making it more,” Ma said. University Innovation Fellow Mariam Bahmane ’19 said that getting students to come to the lab is a current challenge they are facing. She said that even though Swat students are busy, many have dreams and projects, and the lab wants to create incentives for student attendance to help students find a balance between their studies and ideas for innovation. “We [are working] to develop a whole spirit of the Social Innovation Lab and programs to get students into the culture of getting out of the library and their books and doing awesome things that they know and they learn about,” Bahmane said. The maker’s space is still undergoing changes. According to Ma, some of these changes will include decorating the rooms, making the room more colorful, and adding to the currently plain walls. Crossan also said that the windows will have covers that are whiteboards. Another goal that Ma emphasized was increased awareness and usage of the space, especially for students. “We want more people to come in general. I stress this idea to just come and study… just experience the space,” she said. However, the Social Innovation Lab is not just for individual students. University innovation fellow Natasha Markov-Riss ’20 said the maker’s space is open to any Swarthmore student. “Individual students and various clubs also frequently inhabit the space — it is open to all. Even if you aren’t currently working on a project, the SIL provides a fantastic study environment,” she wrote. Crossan said that Swarthmore faculty, staff, and the greater Swarthmore community are also free to use this space, and some groups from Chester are looking to collaborate with the Social Innovation Lab. SwatTank competitors are also encouraged to use the space. Ma feels that the maker’s space can help faculty members innovate their lesson plans to make them more engaging for students and more applicable to what they care about. She stressed that the fellows at the Social Innovation Lab are eager for people on campus to use the new space that has been created and the supplies that they provide. “We can’t work towards any necessary goal without people behind it,” she said. The strategic plan for the first year of function outlines the goals of the Social Innovation Lab as education, experience, execution, and evaluation. Crossan said that she wants to further educate students about the concepts of social innovation and entrepreneurship, and creative ways to apply them. One way that the Social Innovation Lab educates is Design Thinking Training, which are courses that teach potential innovators how to apply these abstract concepts. According to Markov-Riss, in the coming weeks, the Social Innovation Lab is running a Design Thinking session for the student group Kinetics. “We tend to use Design Thinking as an underpinning methodology for students to really deeply understand what … community needs we have,” said Crossan. Ma said that the Social Innovation Lab wants to help students understand concepts that may be difficult to define or apply to real life. “We hear a lot about innovation, social change, and entrepreneurship and engaged scholarship but a lot of these terms are abstract. And the SIL wants to be a space where people can put their ideas to action,” Ma said. According to Crossan, experience is built from engaged scholarship, which is the primary reason that she introduced this space in the Lang Center. “The Lang Center for Civic and Social Responsibility’s mission is to facilitate engaged scholarship on campus. That means engaging the community, the curriculum, and the campus, collectively,” she said. This includes collaboration with other separate spaces on campus such as the new Swarthmore MakerSpace overseen by ITS in Beardsley Hall and the college’s libraries. Crossan said that the goal is to create a network of similar spaces throughout campus. According to Crossan, the execution component of the Social Innovation Lab’s goals is that the maker’s space can be a place to incubate projects. “One of the goals of the Social Innovation Lab is to create a space where Swarthmore Social Innovators (students, faculty, staff and community) can bring their projects to ‘live’ — that is, find a home, from a few weeks to months, where they can incubate their idea, share experiences with like-minded individuals, and receive dedicated support,” Crossan said. The goal of evaluation is for students to reflect on their work. “One of the big intentions for me is how do we take all that we’ve learned from what we do and turn it back into our knowledge,” said Crossan. The goals of the Social Innovation Lab are part of its goal to help students turn their specialties, regardless of what they are, into social projects. Ma said that as a computer science major, she is developing the Social Innovation Lab’s website. According to Brahmane, her friend is trying to start a business that combines her love of baking and interest in biochemistry. “With every area of study, there’s some application of your field that you find meaningful … We want to invite more people from all diverse backgrounds of life, whether it be a diverse identity or diverse major,” said Ma. Despite the fact that the Social Innovation Lab is new, the University Innovation Fellows are positive about its future in cultivating a space for people to participate in engaged scholarship and social entrepreneurship. “In the coming years, the SIL will become a well-used resource for students — I hope that the SIL is able to connect all of the innovators at Swat and support them as they build projects that reach beyond our campus,” Markov-Riss wrote. We want to extend our congratulations to the new 2020 class of Lang Opportunity Scholars!! 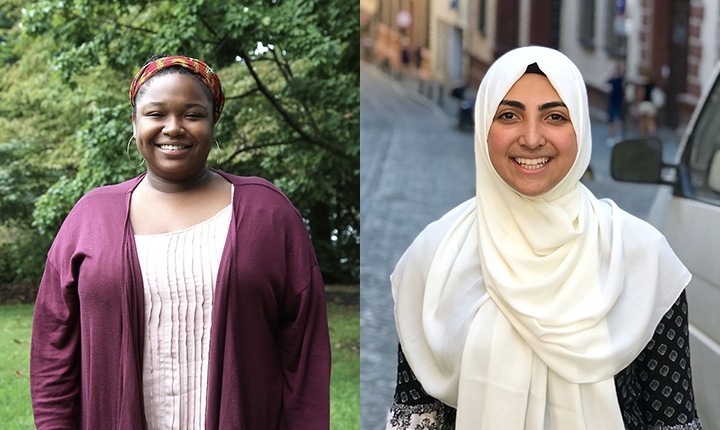 As the newest recipients of the Eugene M. Lang Opportunity Scholarship [LOS], six Swarthmore sophomores will be tackling social action projects around the globe. Nancy Awad ’20 (Chantilly, Va.). In collaboration with the Hands Along the Nile Organization, Agents of Resilience (Nancy’s intended Lang Project) will address the lack of educational opportunities that orphaned and Coptic young women have access to in rural Upper Egypt. Agents of Resilience will be a digital literacy mentoring and certificate initiative for the young women at the Lillian Trasher Orphanage in Assuit, Egypt. Participants will train one other person or their mentee, thus ensuring that the project is sustained by the local community. Elizabeth Erler ‘20 (Lexington, Mass.). Zone 3 of Guatemala City contains one of the largest garbage dumps in Central America. Elizabeth’s Lang Project, Alianza de salud de zona tres [Zone 3 Health Alliance], will build upon the existing network of neighborhood presidents to bring increased access to preventative and chronic healthcare to the residents of Zone 3. This network of health advocates will work to promote awareness about and treatment of preventable but deadly illnesses such as malnutrition and diarrheal illnesses which devastate these communities and establish long-term community plans to treat chronic diseases including asthma, diabetes, and addiction. Layla Hazaineh ‘20 (Amman, Jordan). As a women’s rights activist, Hazaineh strives to amplify the fight against the patriarchy. She has used Facebook as a platform to disseminate videos that address taboo topics and crimes related to misogyny in Jordan and, to date, has 26,388 followers on Facebook from all over the world. 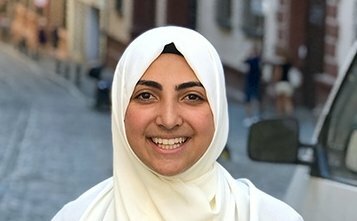 With her Lang Project, Hazaineh plans to strengthen her social media platform, elevate it, and create a professional, social, and academic space which will be utilized to fight the patriarchal system, thus empowering women across the Arab world. ​Seimi Park ’20 (Virginia Beach, Va.). Press for Peace, Park’s intended Lang Project, is an initiative dedicated to promoting the education of women in journalism, media, and communications, with a defined focus on data and technology as platform for impact. Operating in several hubs in the greater Philadelphia area, Press for Peace aims to empower women to use their voices, with the long-term goals of: increased diversity in the fields of technology, media, and telecommunications; economic empowerment through relevant skills-based workshops and training programs; and development of an independent news platform. This model will equip women with the tools to thrive in this capacity, while driving academic and cultural discourse in a time plagued by a lack of productive and constructive dialogue. Nancy Yuan ’20 (Auckland, New Zealand) Yuan will explore how to create social cohesion in New Zealand through the integration of indigenous Maori, immigrant, and refugee populations. The Eugene M. Lang Opportunity Scholarship Program each year selects up to six members of Swarthmore’s sophomore class as Lang Scholars. Selection criteria include distinguished academic and extra-curricular achievement, leadership qualities, and demonstrated commitment to civic and social responsibility. As its central feature, the program offers each scholar the opportunity and related funding to conceive, design, and carry out an opportunity project that creates a needed social resource and/or effects a significant social change or improved condition of a community in the United States or abroad. In addition, it offers each Scholar a diverse succession of undergraduate and graduate financial and other benefits. The program was conceived and endowed by Eugene M. Lang ’38. Is social entrepreneurship an oxymoron? It has been for many philanthropists, who worry that building a business model will compromise their mission, and for businesspersons who deem the social part too “touchy feely.” But that’s changing, says Denise Crossan. Crossan will navigate students through that space as the Eugene M. Lang Visiting Professor for Issues in Social Change this year, responding to a budding interest in doing well and doing good. Crossan is offering two courses this year through the Peace and Conflict Studies program. This fall, she is teaching a class on what social entrepreneurship is and how to engage in it. In the spring, she will teach a course she calls “finding your inner social entrepreneur,” targeting students who have identified a social issue to which they would like to apply a business model. “It’s about giving them the space to convert their idea into a viable, sustainable enterprise that creates measurable social change,” says Crossan, emphasizing the interdisciplinary nature of the subject. “If anyone wants to have a conversation about their research or interests or work that might potentially spin out into social entrepreneurship and wants to come talk with me, I’d be delighted,” she says. Crossan comes to Swarthmore from Trinity College Dublin’s School of Business, where she was appointed assistant professor of social entrepreneurship — the first post of its kind in Ireland — in 2009. However, it was her background as community business advisor for the European Union Program for Peace & Reconciliation that helped pave her way to Swarthmore. John Van Til ’61, professor emeritus of urban studies and community planning at Rutgers University, Camden, was one of Crossan’s external examiners for her Ph.D. Noting her deep knowledge of community organizations in Northern Ireland, he mentioned that Swarthmore was looking for someone to set up a study abroad program there. Crossan’s discussions with Steven Piker, former professor of anthropology and advisor to the Off-Campus Study Office, and Rosa Bernard, assistant director of the Off-Campus Study Office, yielded a successful Northern Ireland Program based in Derry and Belfast that has sent 12 Swarthmore students to study peace and reconciliation with Trinity College students since 2005. Visiting Swarthmore’s campus each year, Crossan developed admiration for the people and purpose of the Lang Center for Civic & Social Responsibility. 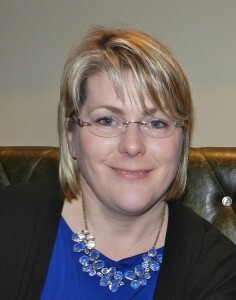 Crossan also sits on a panel of experts in social entrepreneurship for the European Commission, whose responsibilities include advising the commission on the development of the Social Business Initiative across the European Union. She is creating a digital map of social enterprise and eager to engage Swarthmore students in mapping social entrepreneurship in Philadelphia and beyond. But since she was born and spent the first 10 years of her life in Ohio, it’s not all new. And she already feels at home in the Swarthmore community. 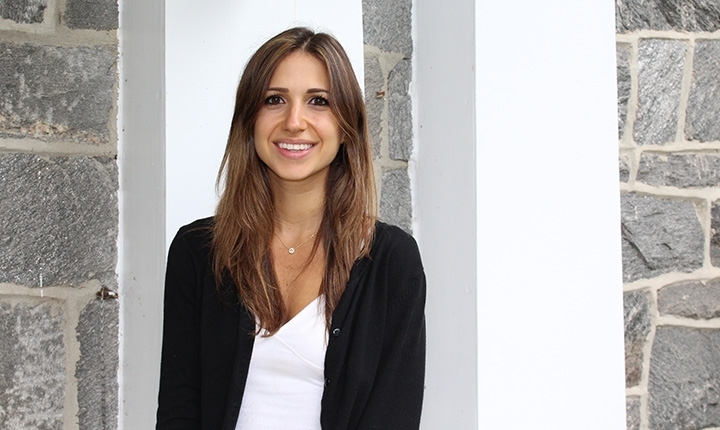 The Peace and Conflict Studies program is thrilled to join the Lang Center for Civic and Social Responsibility in welcoming a new colleague in Peace and Conflict Studies for the 2015-2016 academic year! 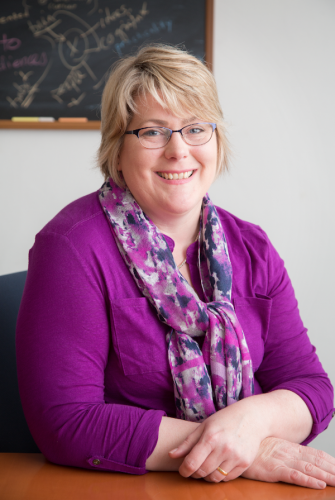 As the Lang Professor, Dr. Denise Crossan will engage with alumni, community members, faculty, staff, and students through instruction, research, and engagement activities surrounding the topics of social innovation and social entrepreneurship. Dr. Crossan joined the School of Business at Trinity College, Dublin (TCD) in January 2009 as Ireland’s first Lecturer in Social Entrepreneurship, and is the founding director of TCD’s new center, Initiative on Social Entrepreneurship. There she has taught courses such as “Social Entrepreneurship and Social Innovation: Organisation and Management,” and has consulted with many groups as they develop earned income strategies to sustain their work for the common good. All members of the College community are encouraged to connect with Dr. Crossan during her time at Swarthmore as she is an incredible colleague with expertise in the areas of innovation, leadership, NGOs, social entrepreneurship, as well as strategic management and marketing. Endowed by Eugene M. Lang ’38, the Lang Visiting Professorship brings to Swarthmore outstanding social scientists, political leaders, and social activists whose careers demonstrate sustained engagement with major issues of social justice, civil liberties, human rights, and democracy. Along with the sponsoring academic program, Peace and Conflict Studies, this Lang Visiting Professorship is co-hosted by the Lang Center.